Europe’s leading producer of flame retardant fabrics, Carrington has produced Flametech 300AS which is available in five separate colours, including hi-vis orange and hi-vis red, the product range comes in a range of hi vis and contrast trim colours to EN20471 standards – providing much-needed choice in the flame retardant market. Suitable for industrial laundries, Flametech 300AS is a durable and comfortable fabric that provides multi-functional protection to workers operating in all environments. Flametech is the newest addition to Carrington’s extensive range of flame-retardant fabrics and will join our award-winning fabrics Flametougher 280AS and Flamestat Satin 225 Pro2. 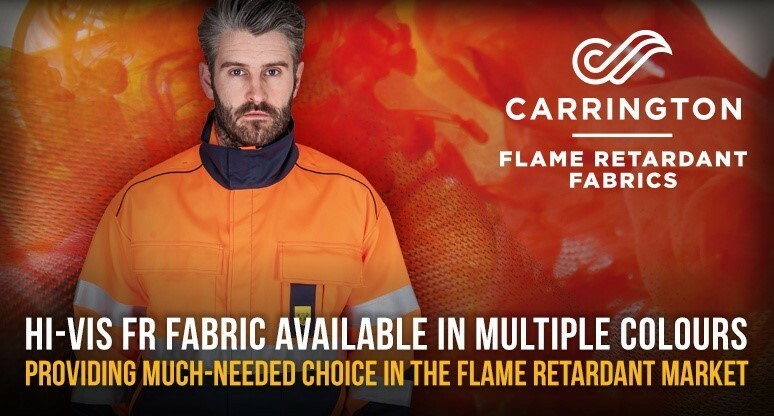 Developed for workers operating in particularly challenging environments, Flametougher 280AS utilises CORDURA® NYCO fabric technology for long-lasting performance, helping to extend the lifespan of garments – even after continuous industrial laundering.